At the Jacob Lawrence Gallery, curatorial interns get hands-on preparation for careers in the art world — and roles in the community. 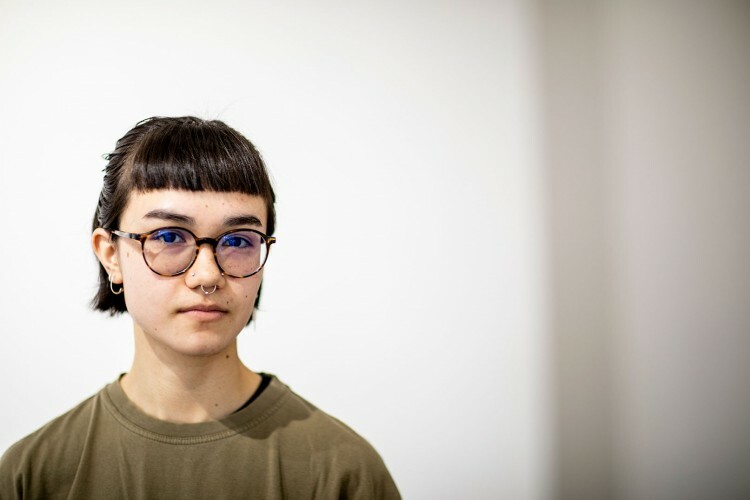 “The experience of working in a gallery is invaluable to people who are considering art as a profession,” says gallery lead Serena Lantz, ’21. It’s the day before the opening of Danny Giles’ exhibition at the University of Washington’s Jacob Lawrence Gallery, and everything is running on schedule. 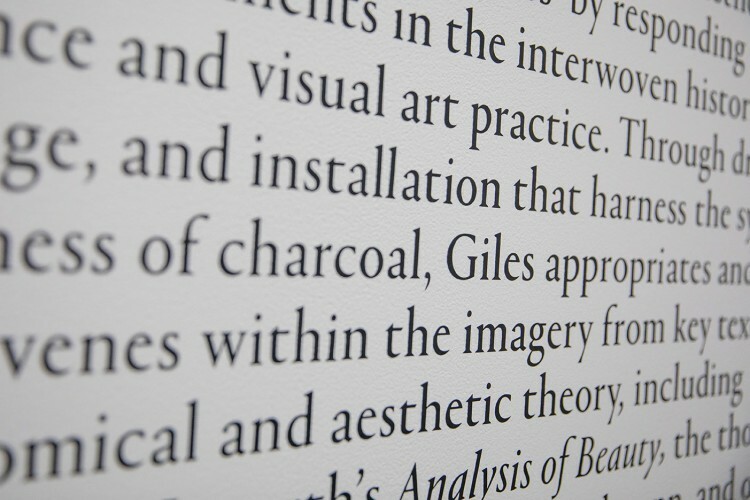 For the past three weeks, Giles has been working here in residency, creating a new series of works on paper. Now the Chicago-based artist is showing UW sophomore Serena Lantz how to hang his unframed work at eye level using a self-designed system of pins and carefully crafted paper hinges. Behind every exhibition’s public face is a team of professionals who work long hours to put it all together. 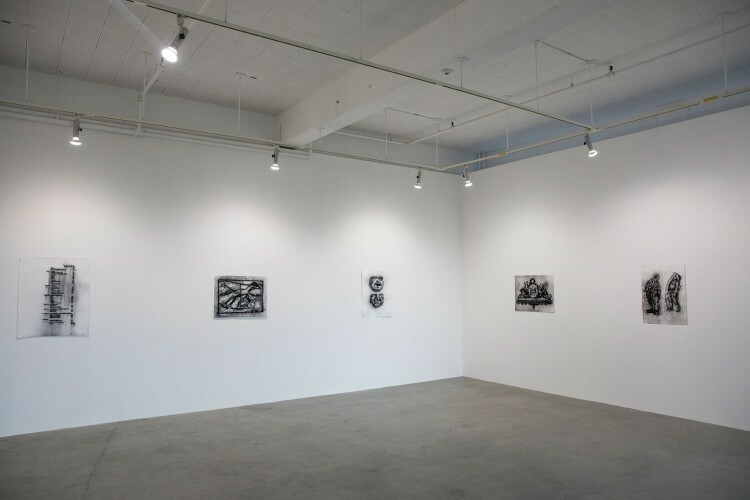 At the Jacob Lawrence Gallery, which celebrates its 25th anniversary this month, this team includes undergraduate and graduate students who are gaining valuable hands-on experience through the School of Art + Art History + Design’s curatorial internship program. Lantz is earning a B.A. 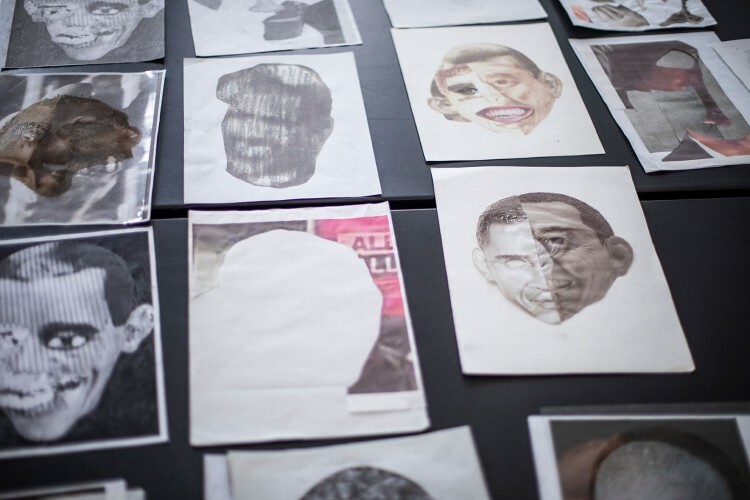 in studio art with a concentration in 3D4M, the University’s interdisciplinary designation for three-dimensional art. This quarter, after spending a year as a curatorial intern, they are moving into a paid position as the gallery lead, working closely with gallery director Emily Zimmerman on several aspects of day-to-day operations. 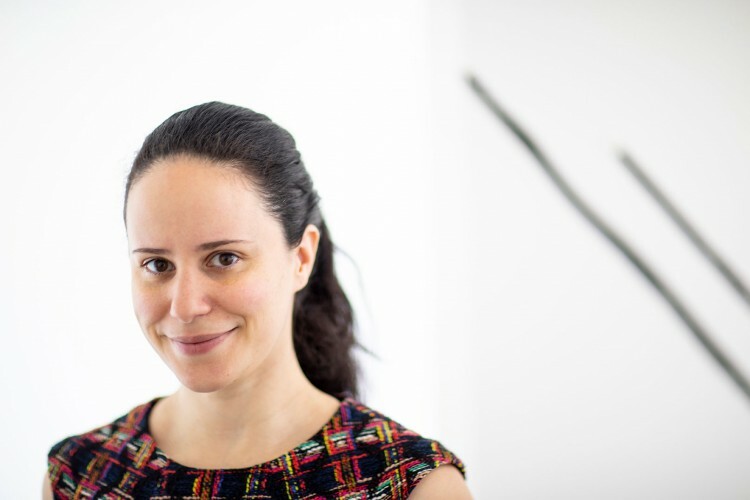 Emily Zimmerman joined the Jacob Lawrence Gallery as director in 2017. 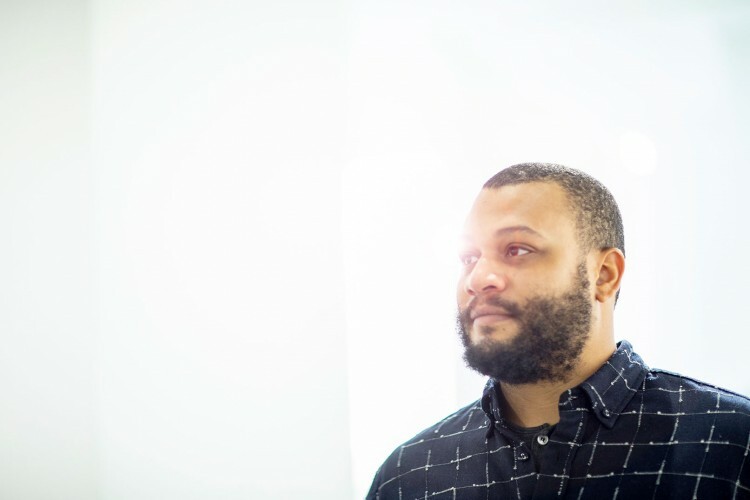 Chicago-based artist Danny Giles is this year’s Jacob Lawrence Legacy Resident. “To me, the legacy of Jacob Lawrence is at the intersection of arts and social justice,” says assistant curator Juan Franco. The Jacob Lawrence Gallery’s assistant curator, art history master’s candidate Juan Franco, will have the chance to put this functional knowledge to use over the summer by curating “Lugar del Trabajo,” an exhibition at the gallery by New York–based artists Angélica Maria Millán Lozano and Camilo Godoy that will serve as Franco’s thesis practicum project. In the meantime, Franco has been assisting Zimmerman with “The Practice and Science of Drawing a Sharp White Background,” the current exhibition by Giles, whose work interrogates currents of white supremacy running through Eurocentric art history curricula. Giles is this year’s recipient of the Jacob Lawrence Legacy Residency, a program established in 2015 to help carry forward the values of the former UW professor for whom the gallery is named. 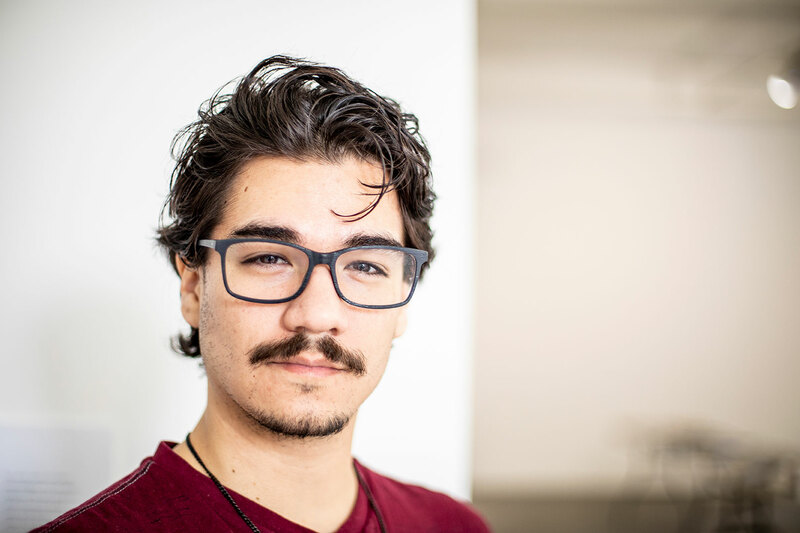 When you support the Friends of the Jacob Lawrence Gallery fund, you can help students like Serena Lantz and Juan Franco gain the experience they need to pursue careers in the arts. Zimmerman says that she would like the students who work for the gallery to take away an understanding of the care at the core of curatorial practice. “This means not only looking after the physical safety of artworks, but also one’s responsibility to the artist, the audience, colleagues and community,” she says.